Have you ever enjoyed sipping out of a sweet can of soda with a plastic straw? Or have you drank out of a delicious milkshake with a plastic straw? Well, you are not the only one, and you actulaly might not know how much trouble you are causing the environment each day, just by using a plastic straw. 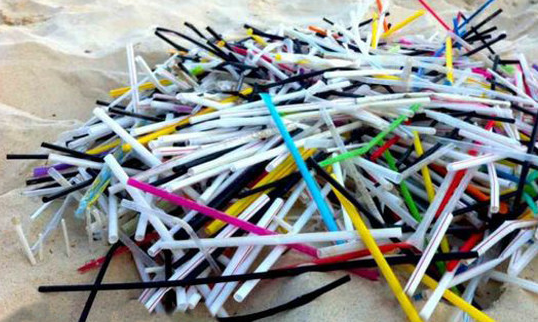 Straws are one of the top 10 items found at beaches. You see, every day people dispose about 500,000,000 plastic straws. These plastic straws are dumped into the ocean, where fish eat these straws and die. Sometimes, plankton get stuck inside straws and fish eat them; trying to eat the plankton. People dispose so many plastic straws a day, we dispose enough plastic straws a day to wrap around the entire world 2.5 times a day! That this enough plastic straws to wrap around the world 912.5 times a year! According to U-KONSERVE.com, 71% of all seabirds and 30% of totals died because of Plastic Straws! (In fact, 99% of all seabirds have eaten a piece of plastic. Imagine how much pollution we are causing by doing simple things everyday – like using plastic, and straws. So what can we do about it? We can start by obviously, not using straws. But, how do we get others to not use straws? Join the Helping Ninjas and Stand Up To Straws! 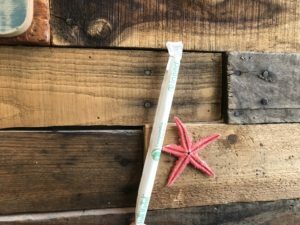 Helping Ninjas are starting a new campaign, to stand up to straws! You can join too simply by taking the pledge to not use straws & posting a picture of yourself sipping out of cup – with no straw, or using a reusable or plastic straw – or by sharing important information such as the info in this blog! Join our initiative and #StandUp4OurPlanet! Can you live without a straw? You can just sip out of a cup normally. And, if you are in a vehicle, you just have to be extra careful not to spill and ask them not to fill the cup to the top! 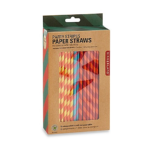 Or if you have to have a straw – don’t hurt the planet just because you can’t go without one! 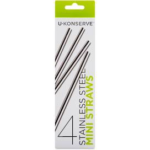 Be thoughtful to the Earth and everyone on it, and take the extra step to buy paper straws, like the photo to the left by Kickerland, and/or reusable/recyclable metal ones, like this photo of the kind that U-KONSERVE makes & sell. Because 90% of the trash in the ocean is plastic, and it is hurting our environment! Straws are hurting, even sadly, killing sea turtles. Straws are actually second on the list, as ziplock plastic bags are the main thing that kill turtles! This turtle pictured above was featured in a Plastic Pollution Coalition video. The sea-turtle was found with a 4-inch plastic straw in his nose. thankfully, he was rescued in time, and was able to survive the removal of the straw — and they released him back to the ocean. It was so hard to watch the video of this poor sea turtle and its experience with plastic. I know now that taking a stand to plastic straws is the right thing to do. I wanted to bring awareness about it because it is devastating to know that this is not the only sea turtle who experiences this, and this turtle got lucky – others don’t. Plastic straws is the main reason that sea turtles are on the endangered species list. 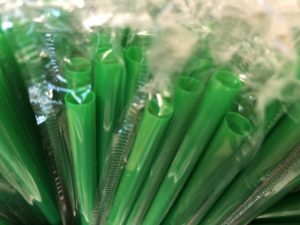 Helping Ninjas pledges to not use plastic a straws again – just say no, and if you are brave enough to watch the video – u may not EVER want to use straws again. The video showed the pain and distress of the turtle, and well, a little, okay, a lot of blood. I mean, that straw was lodged all of the way inside his head! IT WAS THE SADDEST & MOST AWFUL THING I HAVE EVER SEEN! And yet, there are still people using both straws and ziplock bags! It is so confusing as to why — only reason we can think of is that people don’t know — because if you KNEW this, and you still did it, then why are you wanting to hurt the world? This is so sad! Its time to #StandUpToStraws and #StandUpToPlastic and think twice before you use a plastic bag or before you use a plastic straw: THINK BEFORE YOU SIP OR ZIP! **Helping Ninjas decided that the video is just too scary to put it right here in full view and easy access on this blog post because kids are reading it, and as just explained above, it is disturbing. (In fact, I personally couldn’t watch it all, and I’m 38 years old! ) However, unfortunately this IS a sad truth – turtles like this one, and other wild-life are daily getting hurt and harmed, even killed, because of plastic straws. Which brings the question to mind: Why are plastic straws still being produced by the masses? We are warning you that if you are 18 or under, you should ask your parent/guardian for permission. Click here if you have permission, and/or are brave enough to watch. Viewer Discretion is advised. We are also going to be using our #StandUptoStraws Campaign to also stop the use of Plastic Zip Lock bags – there really is NO need for it! Just use paper! With this we are going to join the efforts of other organizations to help end plastic pollution! Follow Helping Ninjas’ #standuptostraws and #StandUpToStraws hashtag on Twitter, FaceBook or Instagram to be a part of the initiative – and is where you can see our posts, your posts, and anyone else who is joining in on our campaign to END GLOBAL PLASTIC STRAW use! It really is time to do the RIGHT thing. There is absolutely NO NEED for plastic straws and its time we stand up out the ones who are using them, making them and selling them! In 5th Grade at my school we had a field trip where we went to a place called JA BizTown where we would get the chance to work for a job. At school, we had go through an interview process and based on how well you did in the interview and your resume- and they then give you a job. On my resume I wrote all the experience and achievements I got from Helping Ninjas. I wrote that I had experience being a CEO and working for a not-for-profit corporation. I had experience being at an interview because of Helping Ninjas, so the JA interview was easy (Since I had an interview for a grant applications). In the end, thanks to how well I did I got the position of CEO, which is the highest job position. At JA BizTown, they taught us how to write checks and gave us a paycheck for our jobs, my business made much more money than the other bank. Our team, or business, made the most money and also successfully sent out all loans, got the loans accepted, and got all of the businesses to successfully pay of all their loans. The other team did not. 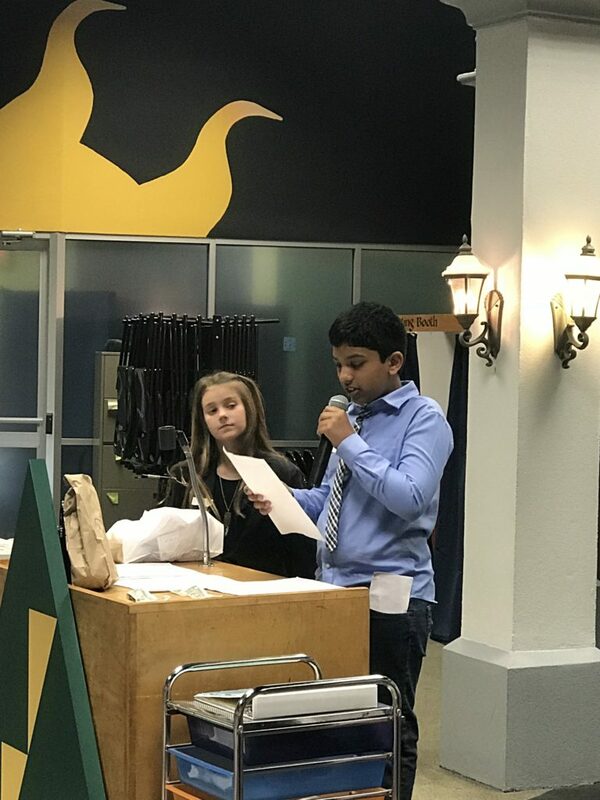 At the end of BizTown I gave a speech to about 100 people – students and adult talk about how successful we were at BizTown and how businesses can complete tasks more effieciently. I learned through this process that if you do something good something good will happen to you.